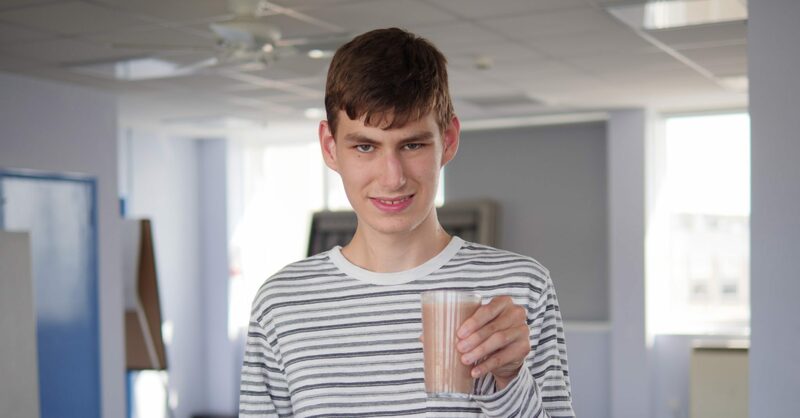 When a young person with additional needs reaches 16, they will no longer be able to claim Disability Living Allowance (DLA), and if they still have significant needs will need to apply for Personal Independence Payments (PIP) instead. PIP is a benefit that replaces DLA, however the bar is set much higher and it’s harder to claim. In the past, as a parent you will have been used to making claims for DLA for your child, but at 16 wherever possible it’s really important that young people themselves are involved in their claim for Personal Independence Payment (PIP). ‘Nothing about me without me’ is especially important. Most young people will be required to attend a face-to-face assessment and they’ll want to own what’s written on their claim pack. 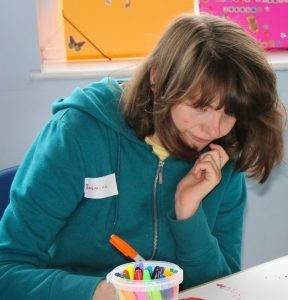 Amaze is able to offer some direct support with PIP applications to young people in Brighton & Hove up to the age of 24. There are other sources of support available in East Sussex, these are listed below in our “Get help with filling in a PIP form” section. Personal Independence Payment or PIP is a new benefit for working age people who face extra challenges carrying out everyday activities or getting out and about. PIP is not taxed or counted as income for means tested benefits. It’s not based on National Insurance contributions and can be paid both in and out of work. PIP replaces DLA but it’s harder to claim. Don’t expect to make a successful claim without recent supporting evidence. If a young person doesn’t have a Statement of SEN, or an Education, Health and Care Plan or recent reports from a health professional, you might want to think about using some of their DLA to pay for independent assessments. If your child is 16 or over and they have never claimed DLA, they will need to claim PIP. If your child is over 16, and you report a change in ‘circumstances’, which might affect the rate of their DLA ward, they will be reassessed under PIP. If your child is nearly 16 or they are over 16 and their existing DLA award is coming to an end, you’ll get a letter to tell you when and how to apply for PIP. You cannot apply for PIP until you are 16, so there are special arrangements allowing current DLA awards to run on after the young person’s 16th birthday, until a decision is made on their PIP claim. You can choose to make an application for PIP even if a young person had an indefinite award of DLA. This would make sense where a young person is likely to be awarded a higher rate under PIP than their current DLA award. For example, if they have high support needs throughout the day but not at night. There is no automatic migration between DLA and PIP. Everyone 16 and over still getting DLA, over time, will be contacted and invited to claim PIP. Young people with indefinite or lifetime awards of DLA will be the last to be reassessed under PIP. As appointee, you need to act promptly as soon as the DWP writes to you or your child about PIP. If neither of you reply to the invitation to apply for PIP, their DLA award will be suspended four weeks later. If a claim is made within four weeks after the suspension, the DLA award will be restored until a decision is made on the PIP claim. If you do nothing during the four weeks suspension, your child’s DLA claim will end permanently eight weeks after they wrote to you. There will only be limited appeal rights against this decision. PIP claims begin over the phone. Ring the DWP on 0800 917 2222. You can call on behalf of a young person but they should be with you when you do this. It’s worth preparing before you ring. You will be asked for basic details like the young person’s name, address, date of birth and main area of difficulty. You will also need to give their National Insurance number, their doctor’s or health worker’s names and have information to hand about time they have spent abroad, in a residential school, care home or hospital. The DWP will also ask for bank or building society details. Use the time while you are waiting for the claim pack to arrive to get organised! You will need as much evidence as you can muster. If you can’t find your own copies of reports or assessments, ring the advice givers now and get more sent. If you have no evidence like this, but feel a young person still has very significant extra needs, think about paying for an independent assessment. As long as a young person has had the additional needs for at least three months, expects to have the same needs for at least the next nine months and meets the residency test, they will be sent a ‘How your condition affects you’ form. The claim pack is personalised. It comes with notes to help you fill it in. If a young person is diagnosed with a life limiting illness and is unlikely to live more than six months, they can claim PIP under Special Rules. A young person will automatically be awarded the high rate care component and doesn’t need to meet retrospective or prospective tests. Though claiming benefits is likely to be the last thing on your mind if you’ve just been told your son or daughter has such a poor prognosis, it is a good idea to try to claim it on their behalf as soon as you feel able: PIP can’t be backdated to before the day you actually claim it – even in such distressing circumstances. A young person’s consultant will need to complete a DS1500 form. The DWP aims to make decisions about these claims within eight days of receiving the form. PIP uses an entirely new set of criteria, a points-based system to decide whether someone qualifies for the benefit, and if they do at what rate they will be paid. To make a successful claim for PIP, a young person needs to score 8 points to qualify for the standard rate of the component; 12 points or more qualifies them for the enhanced rate. You can find out how much the different rates are worth from the gov.uk website. The PIP assessment focuses on a young person’s ability to carry out everyday activities. You score points when you are not able to complete a task ‘reliably’; and ‘reliably’ in terms of PIP means safely, to an acceptable standard, repeatedly and in a reasonable time (more on this later). The activities are split into 12 categories. You score points when you are not able to complete an activity ‘reliably’; and ‘reliably’ means safely, to an acceptable standard, repeatedly and in a reasonable time. Each of the 12 activities has a set of ‘descriptors’ that carry different scores. For example, in the dressing activity, you will score 0 points if you can dress and undress unaided, 2 points if you need prompting, 4 points if you need assistance to dress your upper body and 8 points if you cannot dress or undress at all. The higher the level of difficulty you describe, the higher the score. You can only be awarded points for one descriptor in each activity, so it’s worth giving as clear a picture as you can. To get any points for an activity, you need to satisfy at least one of the descriptors for at least 50 percent of days. If a claimant has good and bad days, it’s really helpful to explain this. Describing what they can do two days out of seven versus what they can manage on the other five, helps the assessor work out which descriptor (and so how many points) best reflects a claimant’s abilities. Points will be awarded for the descriptor that best fits 50 percent of the time. We strongly advise you make yourself aware of the descriptors and how points are awarded. Disability Rights UK has a really useful guide. You can download a copy from their website. Make the PIP form a top priority. Don’t assume that because you or your child has always been awarded DLA, you will get PIP. The bar is set higher. You have a lot to lose if the claim is refused. Put as much time and effort into this as you did with a DLA claim. Keep copies of all reports and assessments in a safe place. The next time their PIP is reviewed, they may have left school or college – and evidence of their level of need and abilities will be harder to come by. Do your best to ‘tell it how it is’. Go into detail and be forensic: remember the more help you need, the more points you will score. But, even if you just need a bit of help, it’s worth writing this down. Young people are often the ones who know how their illness or disability affects them, and most will be invited to a face to face assessment, so think about how you can involve them in making the claim. Include as much supporting information as you can with the claim: advices, assessments, reports from health, education or social care practitioners. If your child has a Statement of SEN, an EHC Plan or a Moving On Plan, make sure you have a copy and send these as evidence to back up what you say. If you’ve mislaid copies of, for example, your EHC plan, ask the local authority for another. If your child is 16 or over, they may have to ask for this information themselves. Explain if evidence seems out of date: for example, if a Statement of SEN or EHC plan hasn’t been amended for years, that this is because everything on it is still relevant. Add annual review notes to support this. Act quickly and stick to DWP deadlines, otherwise you risk losing your child’s PIP and a gap in payments. Make photocopies of everything you send: so far as we are aware you aren’t sent back any paperwork before a face to face interview. Think about returning your claim by Special Delivery. It protects you from the claim getting lost in the post, or the DWP saying they haven’t received it. You get a receipt for Special Delivery items and the DWP has to sign to say they’ve received it. Don’t tackle it alone. Call in a favour, ask a friend to help or seek advice from professionals (see the next section for organisations that may help). Keep a diary for a week or two before you claim. You’ll probably be surprised how much extra support you or your child still needs. It’s always useful to record recent examples. Give examples to show what goes wrong when your young person doesn’t get the prompting or assistance they need. Remember you score points when you can’t complete an activity reliably, i.e. safely, to an acceptable standard, repeatedly and in a reasonable time. If you’ve kept a diary, send a copy of it in. Where there is plenty to say, fill up the text boxes. If you run out of space, add extra pages. The clearer picture you are able to give on paper about your child’s needs, the more likely it is the assessor will be able to reach a decision without a face to face interview. If there’s a lot to say, it’s worth typing it out as a Word document and attaching this to the PIP claim form. Write about waiting lists or cuts or reorganisations to services you need and cannot access. For example, say if you are paying for therapeutic interventions because these aren’t available locally. We produce a fact sheet full of tips for claiming PIP which you can download here. You can call our SENDIASS helpline to request copies of any of these resources. Many disability organisations offer useful advice about claiming PIP for young people with specific chronic illnesses, disabilities or impairments. Their websites can be good places to visit, especially if a young person has new or emerging needs. Try our links sections for details of the main disability organisations in the UK. If you feel really stuck, you may be able to access more individual help from a benefits advice service. In Brighton & Hove, we offer help with DLA and PIP. We have a small team of trained volunteers who can come to your house and work alongside you to make a claim. However, many of the volunteers are parents, so this service is limited, especially in school holidays. If we are unable to help you, we may be able to point you in the direction of other services that offer support with benefits applications, like Possability People, St. Luke’s Advice Service, or BUCFP. These are more general benefits advice services, however, rather than specialists in supporting parent carers. In East Sussex, you can get free benefits advice through either the Welfare Benefits Project or the Citizen’s Advice Bureau, depending on where you live. See the East Sussex County Council website for more information. Hastings Advice and Representation Centre (HARC), which is part of the Welfare Benefits Project, runs outreach advice surgeries in Bexhill, Hastings, Lewes, Newhaven, Rye and Uckfield. It’s very unlikely that severely disabled young people will be asked to attend a face to face assessment. Nevertheless, be sure to send as much supporting evidence, and give as detailed an account of how they cope with daily activities, their communication or access needs as you can, to avoid unnecessary interviews. Many other young people will be required to attend a face to face assessment. For most claimants, and especially disabled young people, the idea of going for a face to face interview is likely to feel overwhelming. There is a lot you can do to make this a fair and a positive experience. Remember, especially if a young person is already getting DLA, that the DWP and the organisation arranging face-to-face assessments needs to make reasonable adjustments to accommodate a young person’s additional needs. So for example, anyone who struggles with anxiety using public transport should not be asked to travel in the rush hour for the assessment. Anyone with augmentative communication needs should be able to meet with an assessor with relevant experience. You do not have to meet in an office, you can ask that the meeting is held at your home, or the young person’s school or college if that will make it easier for them. Be sure to explain your reasons for making this request. A young person should always have someone to support them and may need help to think about who’s the best person to ask. It needs to be someone who is both ‘on their side’ and understands how their disability impacts on everyday life. This can be a friend, support worker, or health, education or social care practitioner. Usually we think it’s most likely to be their parent or carer. Be sure to ask well in advance for any face-to-face assessment to be recorded and tell them that you want a copy of the recording. It’s really worth preparing for this meeting. It’s useful for you both to start keeping a diary, just to illustrate what the young person can do and the help they need. A young person may not have had much involvement in writing their PIP claim and even if they have, the last time either of you looked at it will have been months ago. So read through it again, together. Spend a bit of time rehearsing: take turns asking and answering ‘open’ questions. For example, ‘Can you tell me about how you would make a cup of tea?’ or ‘How did you get here today?’ but don’t practise too much! Assessments may happen at your home or at an assessment centre. If you need to travel, plan how you will get to the venue. If a young person is very anxious it may even help to practise the journey and ‘stake out’ the building a few days before. Check for accessibility. Travel expenses will be reimbursed: keep receipts or note mileage if you come by car. Parking charges are covered too. Arrive in good time. Make sure you are both feeling as comfortable and calm as possible. The healthcare professional who does the assessment will want to see for themselves how what is written on the PIP form matches up with the young person they are meeting. If a young person struggles to ‘follow’ the thread of a conversation or is likely to misunderstand what other people say, you will need to pay attention and act if you notice this is happening. Do this in a clear, positive say: repeating and phrasing questions more simply, using words they know. Checking back they really understood the question and everyone else has understood what the young person is trying to explain will help the assessor spot how easily things can go wrong. Beware of assessors who ask ’closed’ questions. In fact discourage a young person from using a straightforward ‘yes’ or ‘no’ because you or they need the opportunity to qualify any answer. For example, if an assessor asks, ‘Can you cook a simple meal?’ replying ‘I have only ever made beans on toast, and even then I burnt the beans’ says far more than ‘Yes’. Often a young person will have a very good idea about what is difficult for them and how they manage. But even so, some may say what they think the healthcare professional wants to hear. You will be able to add to and comment on what a young person says if you feel their own perception of their abilities is unrealistic. Don’t be intimidated if an assessor tries to shut you down, saying they just want to hear from the young person themselves. Remember, you are there at the invitation of the young person, in the role of their advocate and supporter, and have a right to speak up. It helps to give real examples of occasions when a young person hasn’t had the help they needed and things haven’t gone well or routine daily activities didn’t get done at all. Be aware that the healthcare professional will observe and note everything: from whether a young person lets a door go in your face as you come into the room, to how they put their coat on. If there is any sort of physical examination, a young person should not feel pushed to do more than they can safely manage or anything that is painful. Agree beforehand how they will tell you or signal that they cannot carry on. It’s important the assessment goes at a comfortable pace and it’s OK to ask for a break, if a young person needs one. Towards the end of the assessment, the healthcare professional should give a summary of their findings. They should ask if there are any questions or if there is anything more you would like to add, but if this doesn’t happen and you have more to say, you may need to put your assertive hat on! The healthcare professional will write a report and send it to the DWP. The decision about whether to award PIP, at what rates and for how long is made by the DWP. You will be contacted by letter about the outcome. When you get this, it’s really worth reading through the detail. You will notice that the decision notice includes information about each daily activity, and whether any points have been awarded for this, and if so, why. It may be that you agree with each part of the decision notice. However, if there are any parts of the decision that you do not agree with, and especially if a young person has missed out on some rate of PIP by a few points – or if no award has been made at all – you will need to challenge this. What happens if you don't agree with a decision? The outcome letter will explain what to do next if you do not agree with a PIP decision and about time scales. The first thing to do is contact the DWP: you can do this over the phone. Say what it is that you do not agree with and why. It may be that you feel a young person should be entitled to the enhanced rate for the mobility component rather that the standard rate. Or maybe you disagree with the length of the award. Always be aware that when you ask for a claim to be looked at again, the DWP can look at both components as well as the length. If no award has been made at all, you should get a phone call from the DWP to explain why. You should ask that another decision maker look again at the claim: this is called requesting a reconsideration. The DWP must do this, if you ask. Ask for copies of all the information, including any reports submitted by the healthcare professional. This can help you build a case. Say you will write to give detailed reasons why you disagree. Go through this paperwork carefully; notice if there is any difference of opinion between what you put on the claim pack or what happened at the face-to-face assessment and the healthcare professional’s report. Consider whether any evidence has been disregarded or if you need to gather more reports to support what you say. Ask for extra time if you need it and say when you will write back to them. Otherwise a decision may be made straight away. It’s really worth drafting your response in a systematic way, activity by activity. Making reference to exactly what the decision maker has written, and countering this with what was written on the claim pack, what was said at the face-to-face assessment, and mostly importantly, supporting written evidence, for example a paragraph from your child’s EHC plan, that is consistent with your argument. Some of us are very keen and systematic and use a highlighter pen in different colours to indicate what is untrue or misleading in the decision letter, and again highlighting the evidence in supporting documents. Some of us have written mandatory reconsideration letters that are longer – because they incorporate the decision-maker’s views and quotes from reports and assessments – than the typed PIP claim we submitted to begin with! This might seem like a lot of work, but we think it’s worth really presenting your case as robustly as you can. If the DWP does not make a different decision in the young person’s favour, a detailed request for a mandatory reconsideration makes lodging an appeal to tribunal very straightforward. The right to appeal a PIP decision only arises once a different decision maker has reviewed all the information and you have the outcome in writing. Hopefully, the first decision will be revised in a young person’s favour and you won’t need to go to appeal. If it isn’t all is not lost! Appeals are made directly to an independent tribunal. You will need to fill in a SSCS1 notice of appeal. You can download this from www.gov.uk or ring the DWP on 0800 1214600 to get one posted out. Say clearly what part of the decision you disagree with and why. Keep a copy. Send it back within the timescale. You will get a pre hearing questionnaire. It’s best to opt for a face to face hearing, as the chances of an outcome in a young person’s favour is much greater if you do. You do not need to take someone like a solicitor to represent your young person. Experience of PIP appeal tribunals tells us that young people themselves, and their parents and carers are generally best placed to ‘tell it how it is’ and say it from the heart. Hearings are informal and you will be able to comment on and add to what your child says. It’s always best to prepare again as you did for the face to face assessment with the healthcare professional. There are time limits for reviews and appeals so always get advice as quickly as possible. In some cases, Money Advice Plus, or the Citizen’s Advice Bureau may be able to help you with an appeal, but you may need to meet certain criteria in order for them to help you. Another option for East Sussex parent carers is Hastings Advice and Representation Centre, and Brighton and Hove parents are sometimes able to access advice and support with appeals from the council’s Welfare Rights team, or from a charity like Possability People, BUCFP, or St Luke’s Advice Service. PIP Reconsiderations and appeals – East Sussex.